There are times when album or catalog publishers can significantly influence the stamp market, by virtue of a "tail wagging the dog" effect. Such is the case with a stamp which might have been considered a boring perforation variety, had they not stepped in and given the story a new spin. In 1979, the U.S. issued a 15c stamp honoring John Paul Jones, the naval hero of the American Revolution. Two common perforation types of this stamp exist, perf. 11x12 and perf. 11 (Scott #1789 and 1789A). However, there also exists a scarce perf. 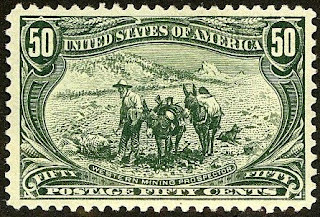 12 variety of this stamp (Scott #1789B). Scott '12 prices #1789B at $3,500.00, and fewer than 200 are believed to exist. In most cases, modern imperforate and color-missing errors are listed as varieties of the basic stamps. Often, they are quite scarce, with fewer than 100 to a few hundred known, and these errors are far more visually striking than a perf variety, but for the most part, they are significantly less expensive than the John Paul Jones Perf. 12. The reason for this discrepancy involves a decision by album publishers. Several popular albums include a space for #1789B, as if it were a completely different stamp, rather than just a variety. Consequently, a stamp collector purchasing one of these albums must endure the philatelic equivalent of Purgatory, staring at an empty space that demands to be filled. As long as some album publishers continue to classify #1789B in this manner, it will increase in value for years to come. At the very least, it makes sense to get out the old perf gauge if one comes across a motley group of 15c John Paul Jones stamps. Note that #1789B should be published conditional on obtaining expertization. Relatively inexpensive imperforate printer's waste exists for this issue, and there is the risk that someone may try to reperforate some of it, to produce bogus Perf. 12s. 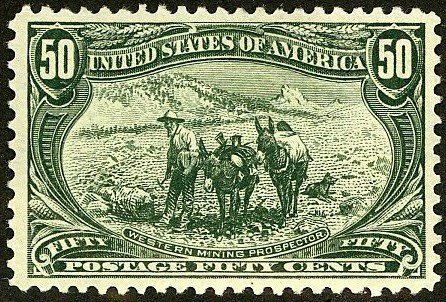 Thanks to Bob Dumaine of Sam Houston Philatelics for providing much of the information used in this article. I'm having this stamp and I'm having many countries old stamps. I wished to sell those stamps. Any buyrers for it? May I send those picture?